The Tropical Meteorology Project at Colorado State University (CSU) just released its initial outlook for the 2012 Atlantic basin hurricane season. They expect a milder than normal storm season for the central Atlantic, Caribbean Sea, and Gulf of Mexico. Now think back to 1992 when we only had 6 named storms, well below the average of 11. 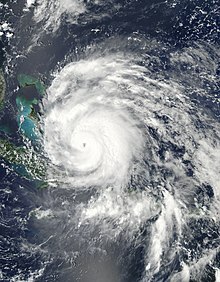 Andrew was the first named storm and only major hurricane of the otherwise inactive 1992 Atlantic hurricane season, but . . .